Leven River Splendor; viewing the river and its features for approx 2 hrs. 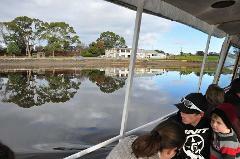 A fun, relaxing river cruise with a running commentary on the natural environment and cultural history, a Tasmanian experience of Ulverstone, North Central Coast. 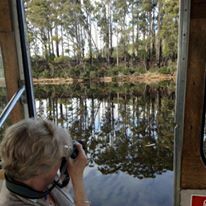 Leven River Meal Cruise supplies a lovely relaxing river and land package cruise where you can sit back and relax over a meal Enjoy the Leven River Sanctuary with a cultural twist commentary of the local settlement and development. 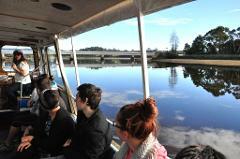 Bay Cruise of the Leven River in Ulverstone. This is a very informative cruise on the early development and memorial parks of various wars, showing of these beautiful park lands surrounding the mouth of Leven River, Ulverstone Tasmania.